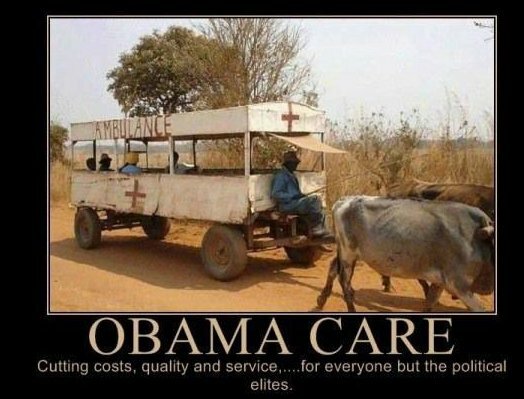 Theodore's World: Obama and Democrats Threatening Companies That Said Obamacare Will Hurt Their Business! Obama and Democrats Threatening Companies That Said Obamacare Will Hurt Their Business! …Waxman has ordered the executives to explain themselves at an April 21 hearing before the Energy and Commerce Committee’s investigative subcommittee. That subcommittee just happens to be chaired by Rep. Bart Stupak, the Michigan Democrat who held out his vote on health care reform until a few hours before final passage on March 21, giving the bill’s opponents the unfounded hope that he might vote against it. Waxman’s request could prove particularly troubling for the companies. The executives will undoubtedly view such documents as confidential, but if they fail to give Waxman everything he wants, they run the risk of subpoenas and threats from the chairman. And all as punishment for making a business decision in light of a new tax situation. Because they have the audacity to do right by the shareholders by properly accounting for their losses, they now have to answer their masters in Congress? How dare your reality trump our political lies! This is what the dems wanted, to destroy those mean ole businesses. The more a person learns about obamacare the more diabolical it becomes. Now they are going to grill and harass these companies for telling the truth. Dictator Barack Hussein doesn’t like dissent. Waxman is a good little commie commisar. He is also one of the ugliest, most crepy looking people I have ever seen. Folks, we are rapidly approaching dictatorship in America. We have a narcisstic Maxist muslim president backed by a corrupt socialistic Congress. They are pushing America to the precipice of financial ruin. Perhaps we can begin the road back in November, but a lot of damage has aeady been done. We will need strong leadership. There are some capable people available, but the powers that be(RNC) don't want to support them. We conservatives and independents are going to have to buck the system again like we did in 1980 with Ronald Reagan. America is a constitutional republic with a free market capitalist system. The present leadership is ignoring The Constitution and destroying the free market system. Our individual freedoms are also under attack. If our market is destroyed by government our freedom will also be lost. Reality is "socially constructed" for left/libtards and can be made to fit what they want by making it hard for people to disagree. Unfortunately, this required the "thought police" (i.e., the KGB and gulags) and didn't work out too well even then. On 9/12/2001 I saw a reporter solicit Waxman for a quote blaming America for the actions of 9/11. To his great credit Henry Waxman refused. However it never sunk into Congress Waxman that the reporter approched him when he wanted a quote condeming America. Tom, he is exactly that and I love the way you put it. I agree so much. "Waxman is a good little commie commisar. He is also one of the ugliest, most crepy looking people I have ever seen." Anonymous, thanks for sharing about that. Avitar, interesting, thank you for telling about what happened.